The Chandi Path is the recitation of the adventures of She Who Tears Apart Thoughts, and it is the story about our own journey to enlightenment. It is a practical training manual designed to move us from the night of duality into the dawn of unity. There are thirty-four videos in the Chandi Path class by Swami Satyananda Saraswati and Shree Maa. The Samasti Upasana, or Cosmic Puja, is the meditation and worship of all the forms of divinity in the universe. It is a technique to move beyond duality. These video classes demonstrate this method of worship and the associated mantras, kriyas (actions) and bhava (divine attitude). There are twenty-three videos in the Cosmic Puja class by Swami Satyananda Saraswawti and Shree Maa. Devi Gita teaches both the worship of the deity with form and the meditation on the Cosmic Divinity beyond form. It is a compendium of spiritual disciplines and an excellent text for Sanskrit study. Devi Gita is considered one of the highest texts on Divine Mother worship and Her yoga. Swami Satyananda Saraswati’s translation is so beautiful. He brings the Mother Goddess and the reality of Her attainment to life. 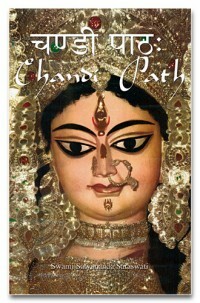 The Chandi Path is one of the most ancient and complete systems of mantra worship and meditation on the Divine Mother Goddess in the Hindu tradition. For the first time, the yoga of the Chandi Path is available to a Western audience in App format, complete with original Sanskrit, Roman transliteration, and English translation. The spiritual meaning of Chandi is “She Who Tears Apart Thought, ” and the recitation of the Chandi Path is designed to guide awareness into the presence of the Divine Mother Herself. The Samasti Upasana, or Cosmic Puja, is the meditation and worship of all the forms of divinity in the universe. By performing this worship we become so absorbed in the union between the perceivor and the object of perception that we go beyond all duality. This recording of Swami Satyananda Saraswati chanting the Cosmic Puja is full of holy vibrations and is an excellent way to learn the mantras. The Chandi Path is one of the most ancient and complete systems of mantra worship of the Divine Mother Goddess in the Hindu tradition. 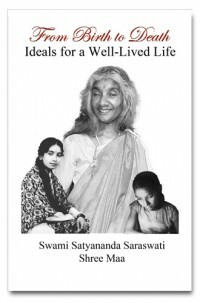 Shree Maa and Swami Satyananda Saraswati have been chanting the Chandi for over 30 years. Shree Maa’s recitation comes to life with her unbound love and impeccable grace. Her chanting is filled with the bliss and power of the Divine Mother. Ramprasad, the great mystic poet of Bengal, composed thousands of songs about the Divine Mother Kali. The songs of Ramprasad are the most sublime spiritual poetry, unyielding in the intensity of its fervor for the dissolution of the ego in the ocean of Divine Love. 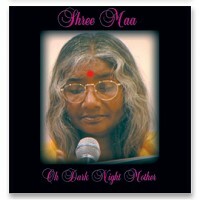 Shree Maa’s rendition of these songs is soul stirring and incredibly tender. They will melt your heart. This compilation of Shree Maa’s singing is intoxicating and wonderfully memorable. It includes original Shree Maa songs such as Jaya Kali Bhavani Maa, Jago Jago Maa with wonderful musical accompaniment by devotees. These songs are Divine rivers of sound that arrest the wandering mind and bring it to rest in devotion at the feet of our beautiful Divine Mother. These songs will lift your heart, soothe your soul, and bring comfort to your mind. 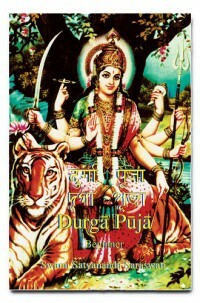 Durga Puja is excellent introduction to Divine Mother Goddess worship and Sanskrit mantras. Durga is She Who Removes All Difficulties, and this puja is designed to guide the mind to a state of freedom, peace, and ease. 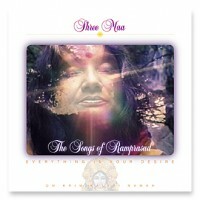 This CD has Shree Maa chanting the entire Durga Puja. It is so medolic and soothing and a wonderful way to learn the mantras. From Birth to Death contains the mantras, instructions, applications, and philosophy for all the rites of passage in the Hindu dharma including the Vedic Wedding Ceremony and the funeral rites performed at the end of life. The last half of the book is a questions and answers section compiled from the online classes that took place in 2010. An invaluable resource for anyone interested in learning to live a dharmic and meaningful life in accordance with Vedic wisdom.